The Sublette United Methodist Church is honored to be able to offer three different scholarships, the Elliott Scholarship, the United Methodist Men’s Scholarship, and the Bryana Schmidt Scholarship, to graduating area High School seniors and college students. The Elliott Scholarship was established by Dorsey Elliott and is available to seniors and college students that are members of the Sublette UMC. This scholarship is renewable upon yearly application. The Bryana Schmidt Scholarship was established by Donald Schmidt and is available to seniors and college students that are members of the Sublette UMC. This scholarship is renewable upon yearly application. 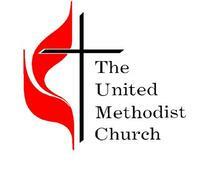 The United Methodist Men's Scholarship is sponsored by the Sublette United Methodist Men's Group and is offered to graduating seniors or local church affiliated college students. This scholarship is not renewable. All scholarship applicants must complete the scholarship application and submit it to the Church Scholarship Committee by April 15th to be eligible. Preference will be given according to the activities of the applicant in the church (local and global) and in the community. Applications must be resubmitted each year to be considered for renewal. Scholarships are based on eligibility and scholarship funding amounts available for that year. Scholarships funds are paid in two payments, the first payment upon receipt of the requested documentation for the first semester and the final payment upon receipt of the requested documentation for the second semester. Accommodations are made to those students whose college does not operate on the traditional semester schedule. Students are required to maintain a 2.0 grade average per college semester and submit proof of GPA and class enrollment. The second scholarship payment will be made upon receipt of the 1st semester’s proof of GPA and the 2nd semester’s class enrollment. Remember the scholarship deadline is April 15!